Clearly communicate on your quantity prices. Optimize the Add to cart action. 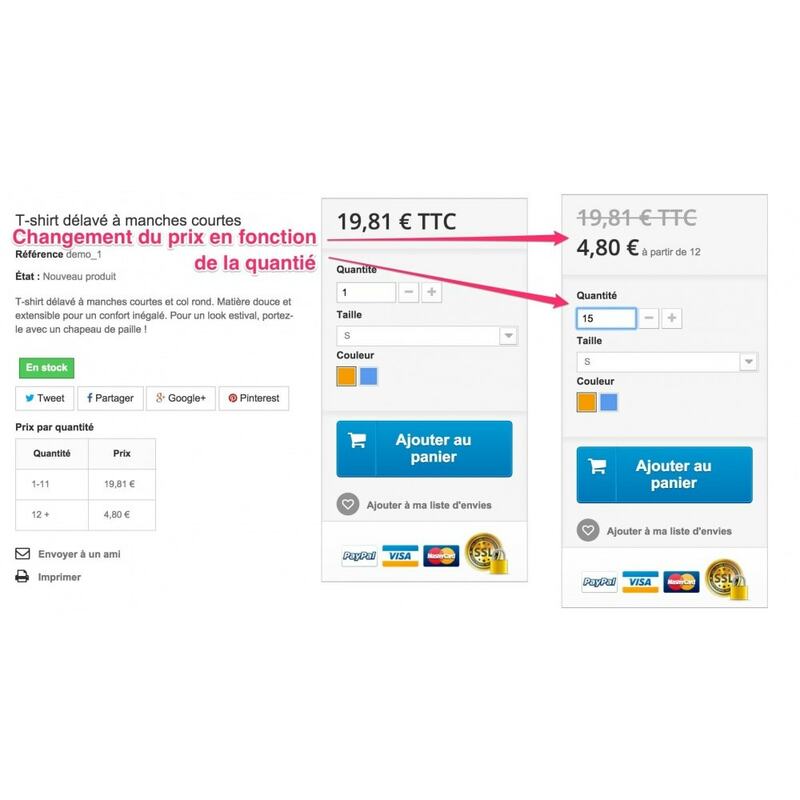 Restrict the quantities placed into the cart to quantity matching your packagings. The Add to cart can accept only multiple of minimal quanity of a product. The quanity input areas are changeg to represent the number of multiple rather than the number of units (for ex., 1 x 25 rather than 25 units). 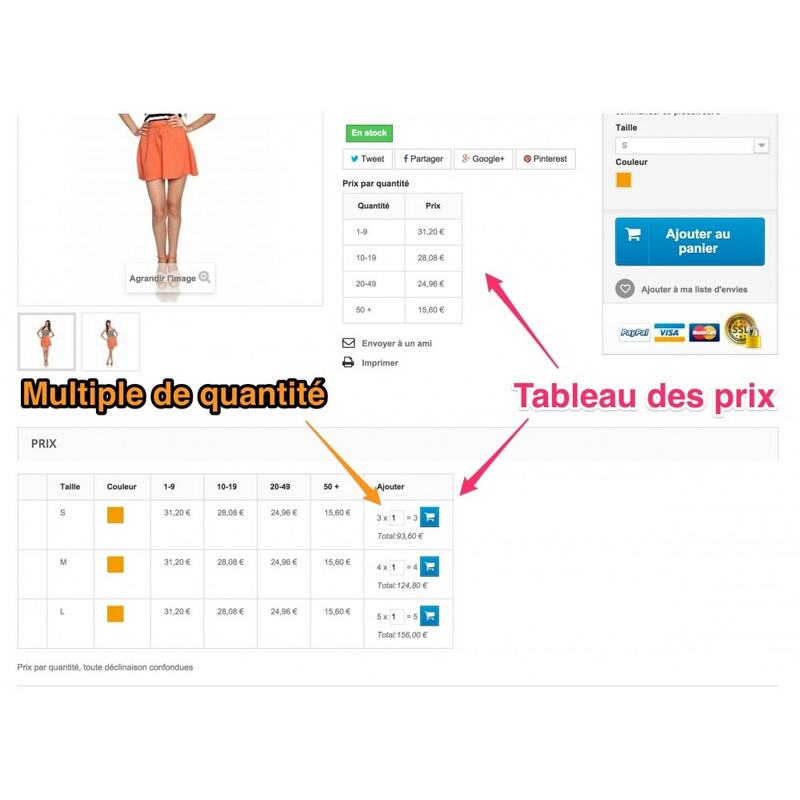 In product page, you can display a table of combinations and quantity prices, with total summary and add to cart button. Optionnaly, you can display the group stroked price. This table can be displayed on different hooks. In top of central column, a summary of the default combination can be displayed. This table can display the combiantions features defines by our "Features combination" module. In products list page and product page, you can optionnally display an "Starting from..." price, corresponding to the default combination price in its highest quantiy. 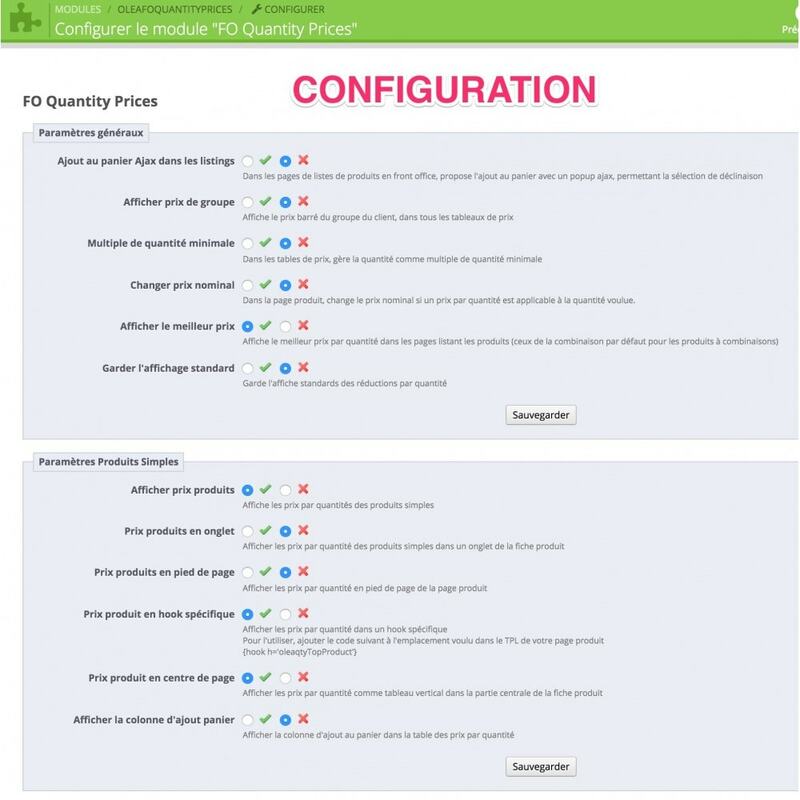 When the customer modify the quantity input, the price displayed in right top of thepage is adpated regarding this quantity. All this prices management is supported in the quick view popin of the product. 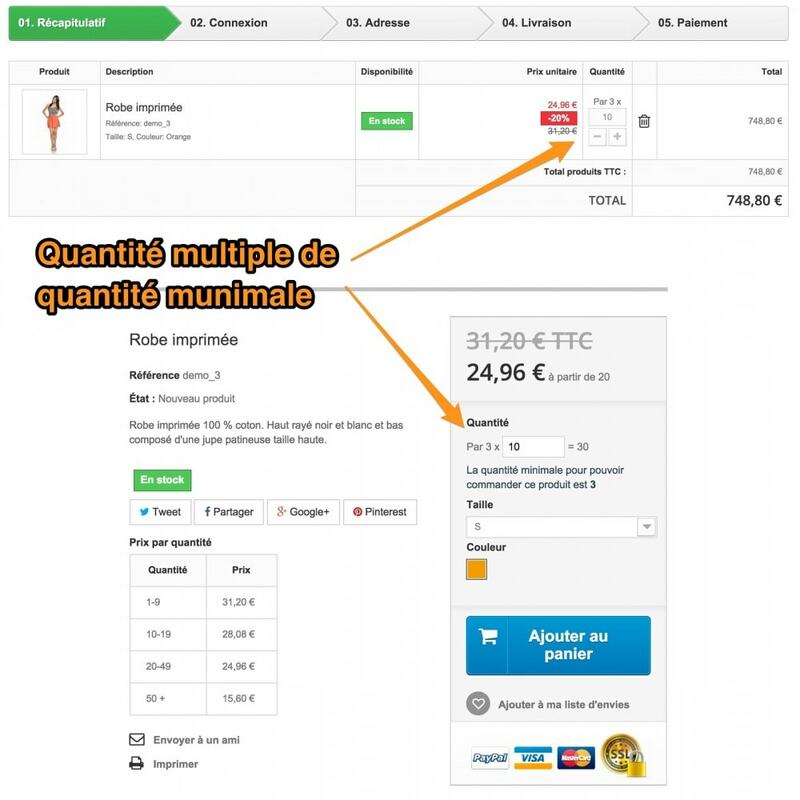 The module displays the prices applicable to the current customer. 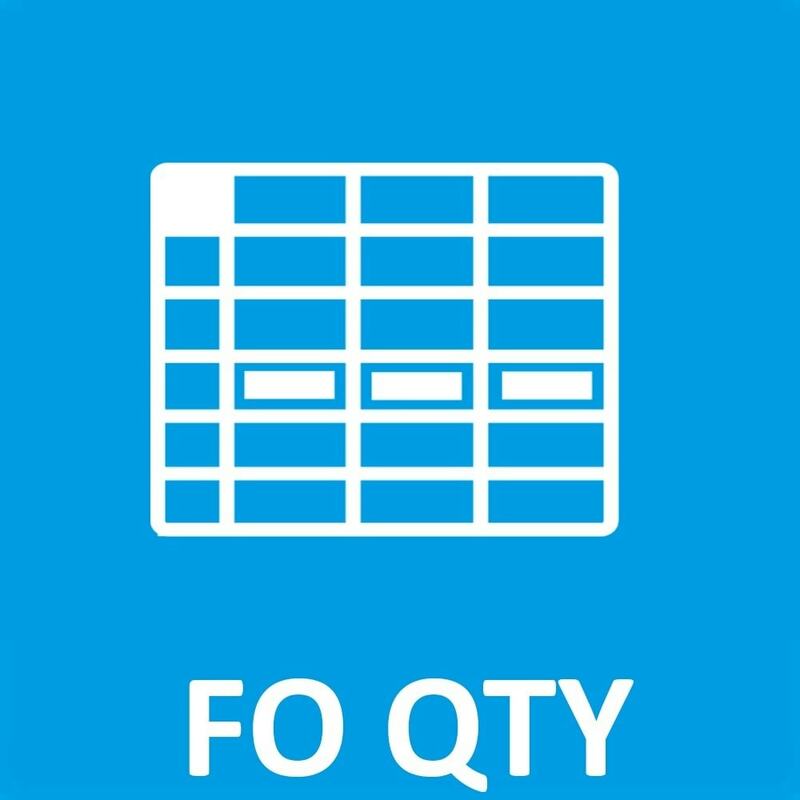 In prodcut listing page, the module can manage a popin dispalying the combination and quantities prices table. Usefull in 1.5 in which the quick view isn't available. You customer will have a global vision of your combinations and quantities prices.